Anterior Cruciate Ligament (ACL) Strain/Rupture is one of the most common knee injuries involving the knee. You may have heard of professional athletes suffering from this injury/condition.The anterior cruciate ligament is the ligament in the knee joint that is attached diagonally forming an “X” figure with the posterior cruciate ligament. These ligaments are responsible for controlling the knee’s back and forth motion. These also provide rotational stability of the knee. These also prevent sliding of tibia anteriorly in front of the femur. An ACL injury can occur if you: Get hit very hard on the side of your knee, such as during a football tackle. Overextend your knee joint. Quickly stop moving and change direction while running, landing from a jump, or turning. The instability caused by the torn ligament leads to a feeling of insecurity and giving way of the knee, especially when trying to change direction on the knee. The knee may feel like it wants to slip backwards. There may be activity-related pain and/or swelling. The knee may have limited range of motion. Doing physiotherapy to strengthen the muscles that are supporting the knee. 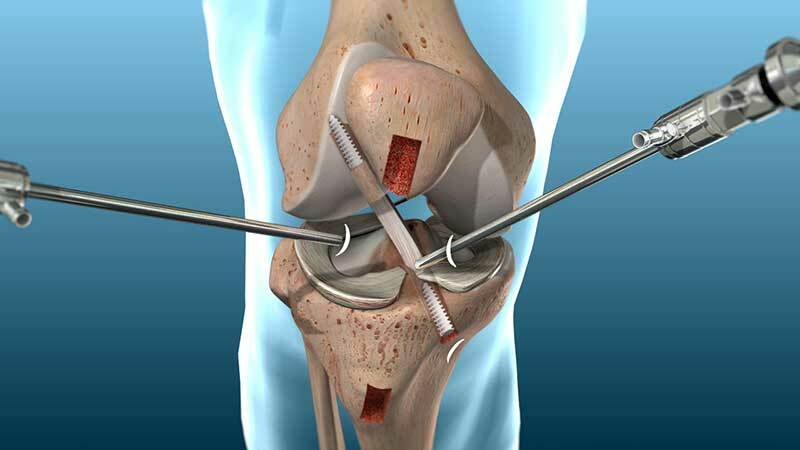 Surgical - As most ACL tears cannot be stitched back together, it oftentimes is reconstructed. That is, taking grafts from other tendons and attaching it as to where the ligament is supposed to be. There are many options as to which tendon may be used. Hamstring tendon– located at the back of the thigh. Quadriceps tendon– located in the front, kneecap to the thigh. You may discuss with our orthopedic specialists as to which tendon is most likely a good donor for the graft. The best way to prevent anterior cruciate ligament (ACL) injuries is to stretch and strengthen the leg muscles, especially the front and back muscles of the thigh (quadriceps and hamstrings). You may help prevent ACL injuries if you: Avoid wearing shoes with cleats in contact sports. Avoid wearing high-heeled shoes.